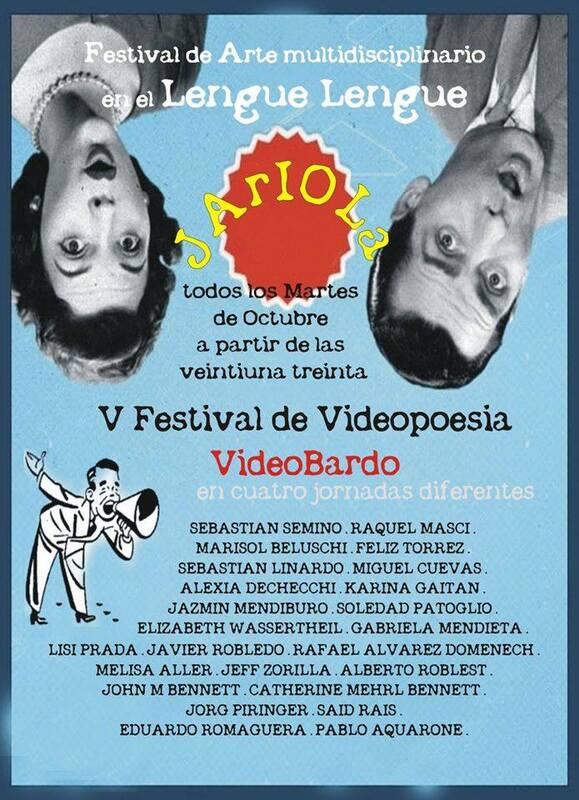 African video art program at « Experiments in cinema » Festival in Albuquerque, New Mexico (USA) on 10-14 April 2018. SYMPOSIUM CHANGE OF SCENE. REFRAMING COOPERATION BERLIN. Artists: LucFosther Diop (Cameroon), Abdoul-Ganiou Dermani (Togo), Mounir Fatmi (Morroco), Khaled Hafez (Egypt), Euridice Kala (Mozambique), Laura Nsengiyumva (Rwanda), Wura-Natasha Ogunji (Nigeria), Said Raïs (Morroco), Lerato Shadi (South Africa), Mouna Jema Siala (Tunisia), Amina Zoubir (Algeria). 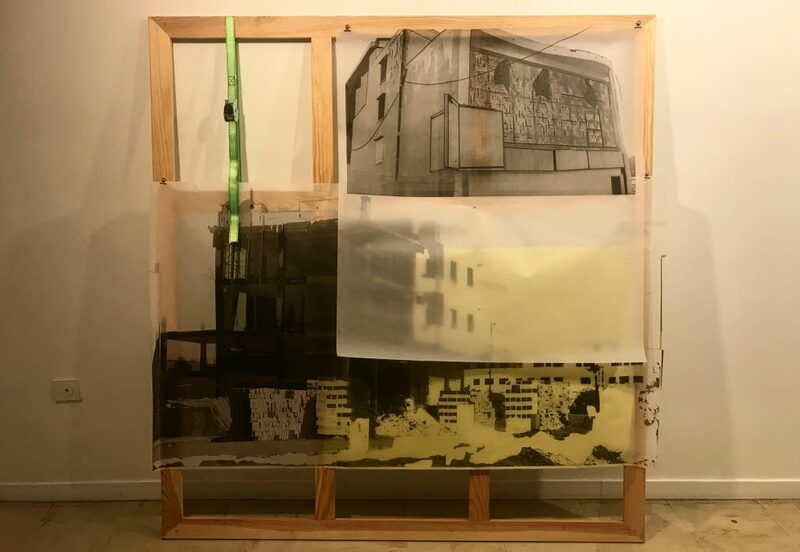 Video, »Infection, plastic #2″ is part of this show at Texas State University School of Art & Design. LUMA Project Space. 18, derb el ferrane – riad laarouss, Marrakesh. 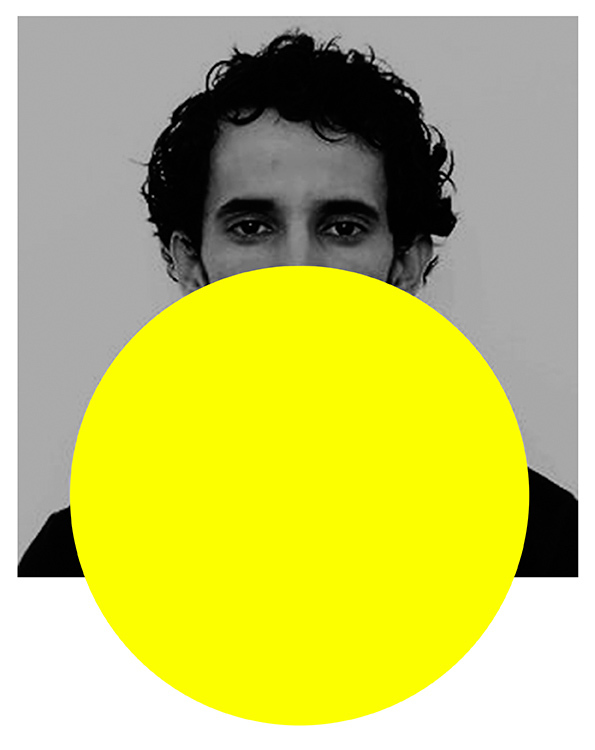 Culture Vultures Artists Villa based in Sefrou, North Morocco is created to house artists and arts workers and to present projects and performances. La SERRE est un projet de l’artiste Mohamed Fariji. 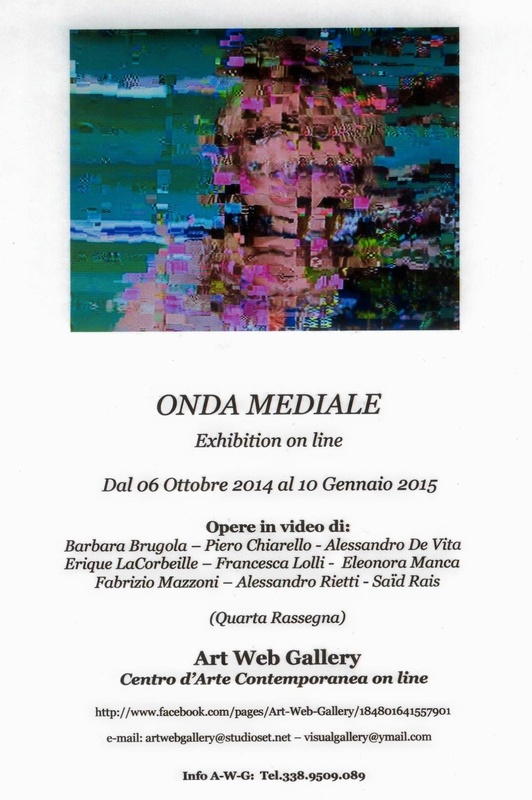 The selected videos for Facade 2014. 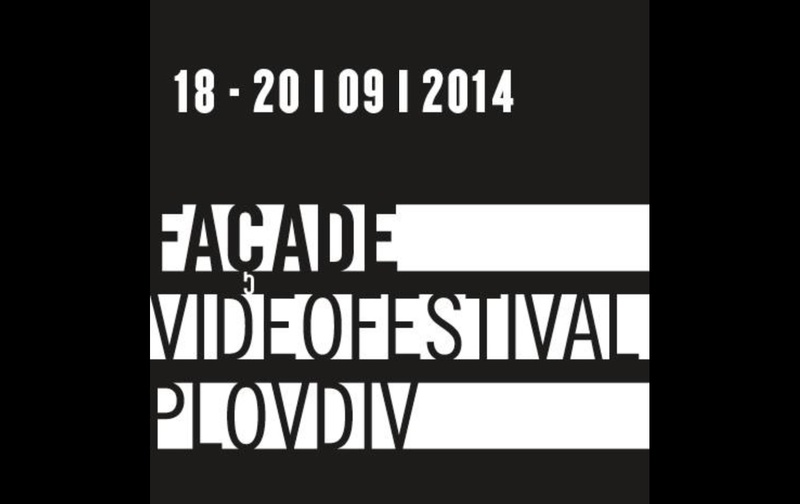 The 5th edition of Facade Video Festival is coming..Stay tuned on 18,19 and 20th of September 2014 Brève description International video art festival in Plovdiv, Bulgaria. A project of Art Today Association – Center for Contemporary Art – Plovdiv, The Ancient Bath. l’exposition t h i n k i m l i l suite à la résidence d’artiste organisé par le18, derb el ferrane en collaboration avec Dar Toubkal/Montagne propre, dans le village d’Imlil. 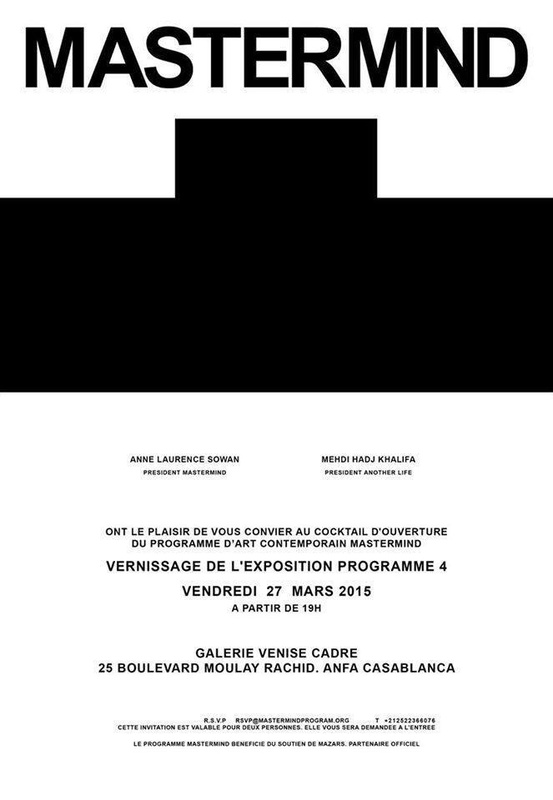 Special Thanks to Hicham Bouzid, Laila Hida & Aniko M. E. Boehler. 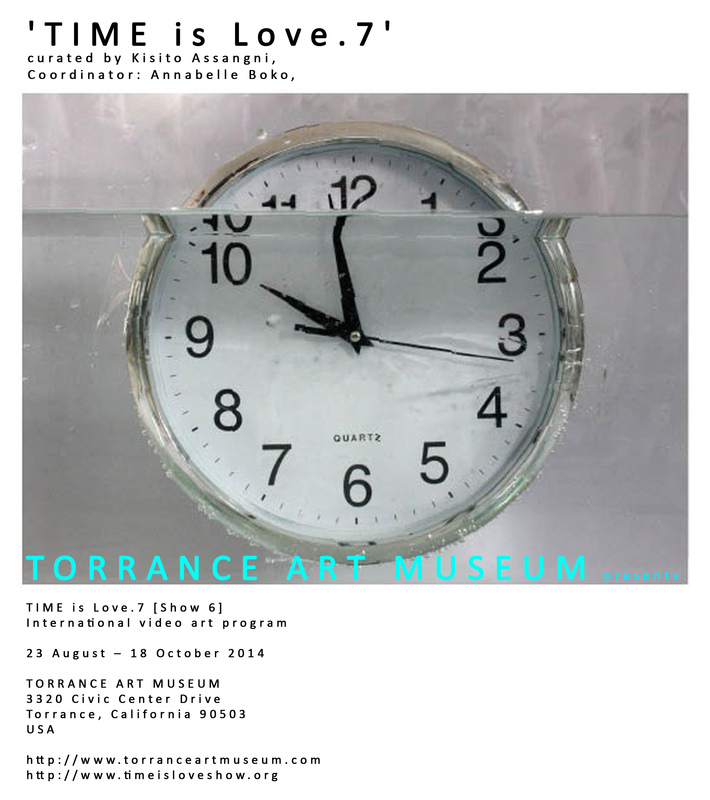 Taro Aizu will be present at the opening, October 6, at 10 h.
« summer art residency » 2014. 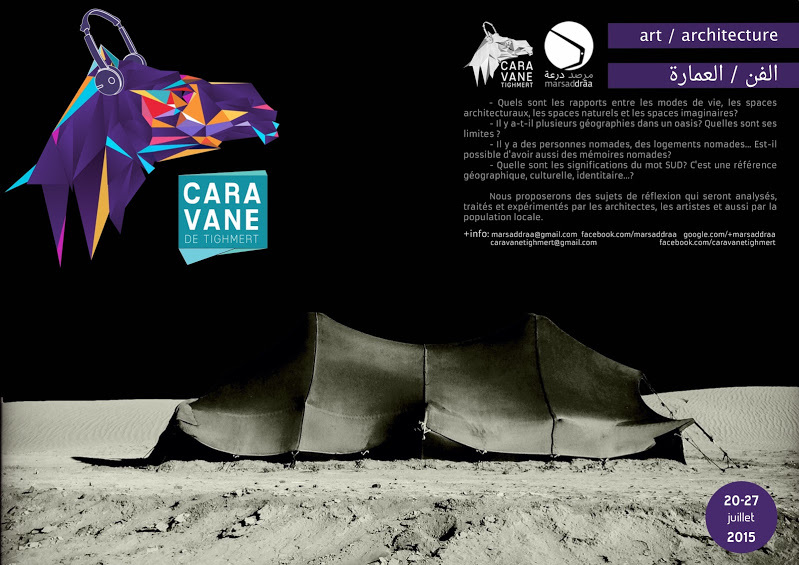 Le 18, derb el ferrane, pour cet été, prend siège à Dar Toubkal, Imlil, pour une Durant 6 semaines, Le18 proposera une programmation culturelle aux habitants d’Imlil, invitera des artistes pluridisciplinaire à venir travailler dans le village en interaction avec seshabitants. 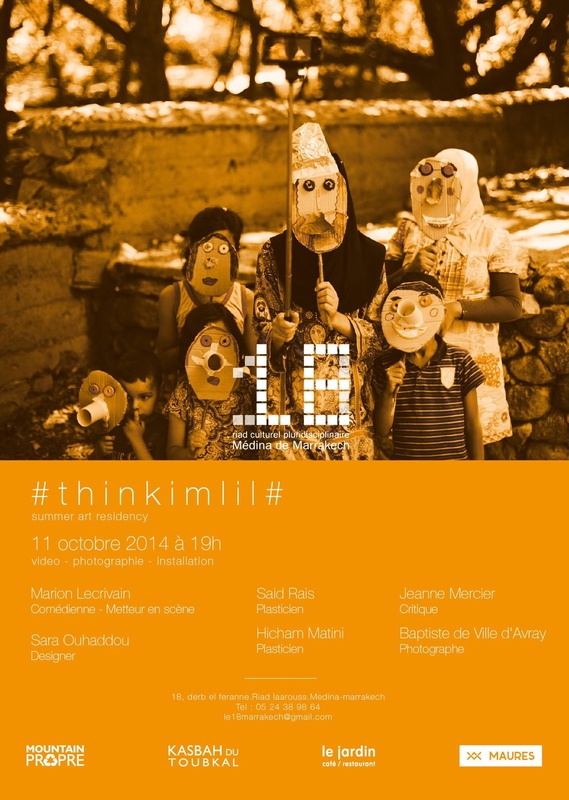 T H I N K I M L I L # « summer art residency » 2014. With: Alexis Milne & Tom Bresolin (UK), Amina Zoubir (Algeria), Anahita Razmi (Iran), Anders Weberg (Sweden), Anne Lise Stenseth (Norway), Antonello Matarazzo (Italy), Arnaud Brihay (France), Belle Shafir (Israel), Carlo Giuseppe Zuozo (Italy), Eva Olsson (Sweden), Francesca Leoni (Brazil), Gianluca Capozzi (Italy), Evelin Stermitz (Austria), Guli Silberstein (Israel), Grace Kim (Korea), Irina Gabiani (Luxembourg), Joas Nebe (Germany), Jose-Man Lius (France), Justyna Scheuring (Poland), Laura Focarazzo (Argentina), Marcello Mercado (Germany), Marie-Paule Bilger (France), Marina Fomenko (Russia), Margarida Paiva (Portugal), Matthias Mollner (Austria), Maximilian Schmoetzer & Fabian Heitzhausen (Germany), Max Hattler (Germany), Monica Elkelv (UK), Nao Sakamoto (Japan), Nina Lassila (Finland), Otto Berchem (USA), Rahman Hak-Hagir (Afghanistan), Rehema Chachage (Tanzania), Robert Croma (UK), Riham Isaac (Palestine), Said Afifi (Morocco), Said Rais (Morocco), Sandra Bouguerch (UK), Saul Levine (USA), Sheri Wills (USA), Simone Stoll (Germany), S/N Coalition (USA), Sylvia Toy St-Louis (USA), Tina Hochkogler (Austria), Veronique Mouysset (France), William Esdale (UK). 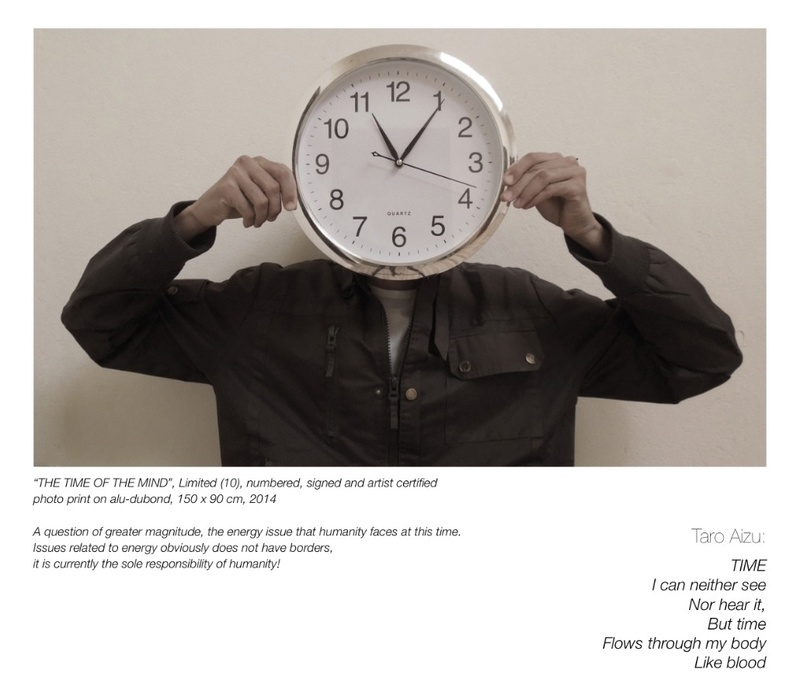 International Art Project in which ArtNations collaborate with Japanese Poet Taro Aizu, large group of Dutch artists from GAP project (Fred van Welie, Ed Hanssen and many others). Munich exhibition implemented and supported by Die Färberei, Kreisjugendring München-Stadt and Department of Culture of Bavaria. The theme of this project is to provide artistic interpretation of gogyoshi poems from the book written by Taro Aizu «My Fukushima» about the Fukushima nuclear catastrophe in 2011. 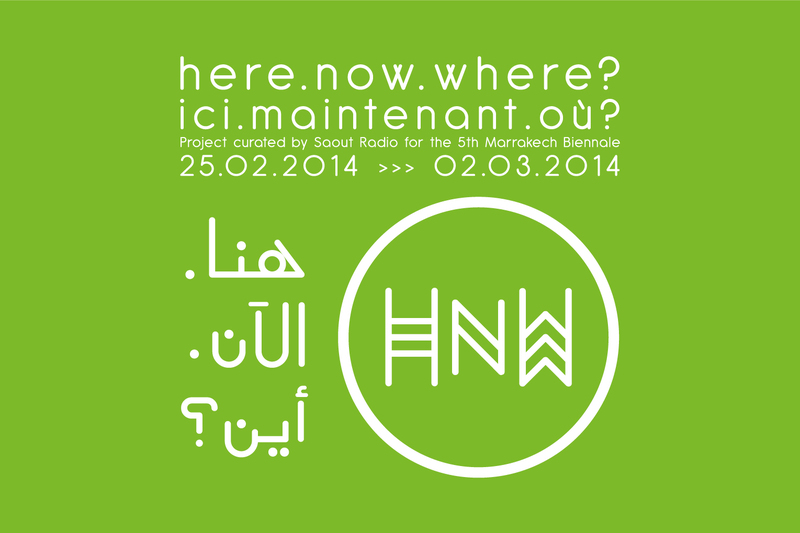 Saout Radio’s proposal for the 5th Marrakech Biennial (February the 25th – March the 2nd). 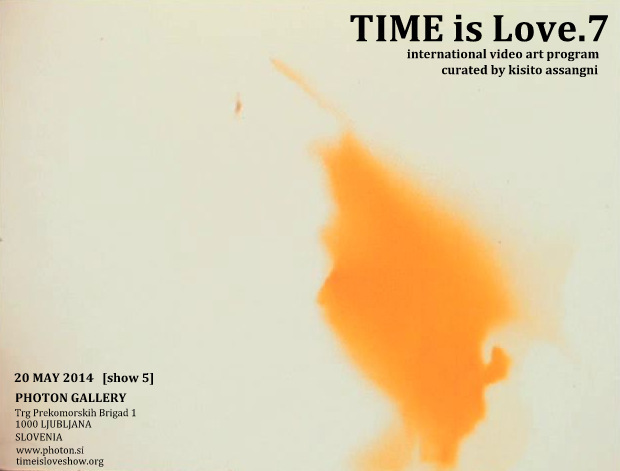 TIME is Love Screening // 7th edition – 2014 in UK, France, USA, Germany, South Korea, Slovenia. CAMPUS Project, a project Marseille-Provence 2013 Capital of Culture at Higher School of Art in Aix-en-Provence in France. AUX ARMES CITOYENS 2013! Affiches pour la paix en Syrie (affichons notre soutien pour la paix en Syrie): http://www.auxarmescitoyens.net/. Exposition «100 ans, 100 artistes, 100 œuvres» au siège de la Société Générale. 55, Bv. Abdelmoumen. Exposition du 3 juin au 25 octobre 2013. Biennale de Nord en Sud, la sélection marocaine du Dvd Project sera présenté samedi à 18h et 20h30 à La Halle de Pont-en-Royans. Born in 1986 in Tiznit (M), Said Rais lives and works in Tiznit (M). 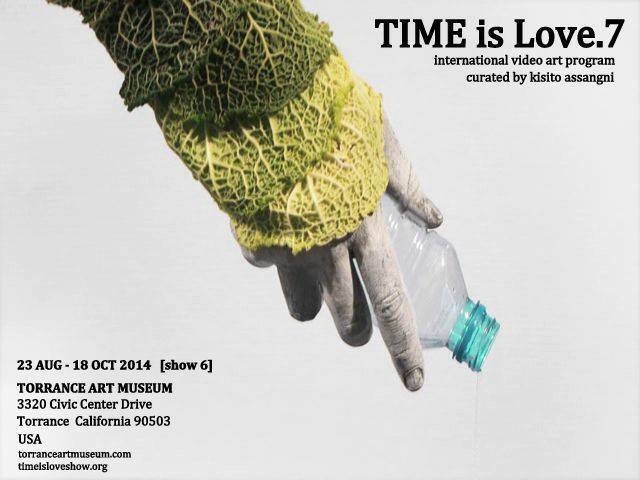 He participated in various exhibitions and festivals national and international. Including ,in 2011: projection vidéo au Théâtre Jean Vilar de Vitry-sur-Seine, dans le cadre des plates-formes Méditerranée Arts // Galerie Talmart, Paris (France). 2011, «BJCEM», 15ème biennale de la méditerranée, Thessalonique (Grèce). 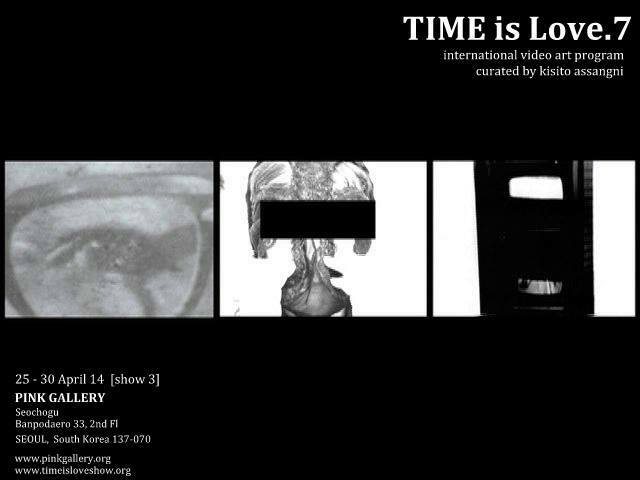 2013: Festival Mundial Arte Pela Pas - Festival international d’art dans Uba, (Brésil), 2014: TAM Torrance Art Museum (Californie, USA) in the context of TIME is Love.7 -show 6 International Video art Program,Curated By Kisito Assangni, to the Museum of New Art (Michigan, USA) in The Selfie Show,curated by Jef Bourgeau, and Musée Mohammed VI d’Art Moderne et Contemporain- curator Mohamed Rachdi, (Rabat, Maroc) for the inaugural exhibition. 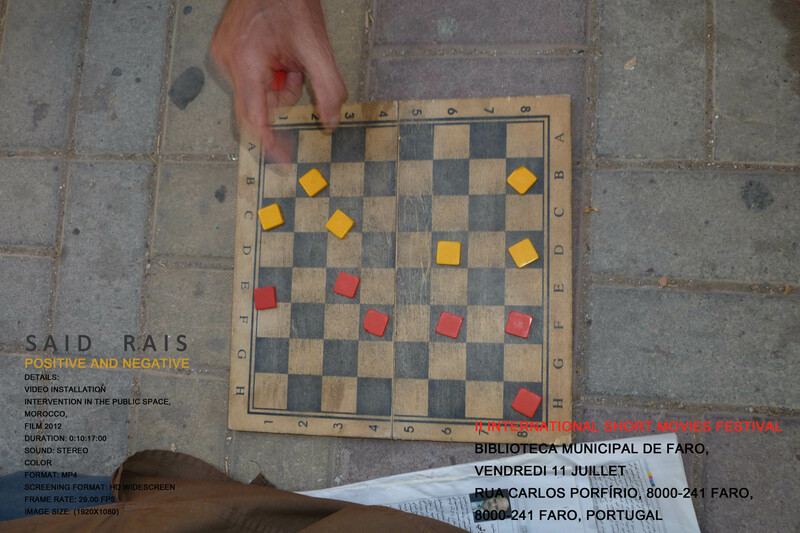 Museum Municipal of Modern Art Mendoza (Argentine) and «Mastermind» gallery Venise Cadre, Casablanca (Morocco , 2015).